At the start of 2012, it looked like the strategy RPG was about to fade into obscurity. Genre mainstays like Final Fantasy Tactics, X-COM and Ogre Battle hadn’t seen new entries in a number of years, and one of the genre’s longest running series, Fire Emblem, was set to lose future funding from publisher Nintendo if its latest entry, Fire Emblem Awakening, didn’t sell enough copies. But then within the span of a year the fortunes of the genre quickly changed. Firaxis Games, the studio started by legendary Civilization designer (and Ontario native) Sid Meier, released the superlative XCOM: Enemy Unknown, and Awakening became the best-selling entry in the Fire Emblem series — to date, some 1.9 million copies of the game have been sold across the globe. Here we are four years later, and not only do we have a new XCOM game, we also have the long awaited sequel to Awakening, Fire Emblem Fates. The good news is that Fates is everything its illustrations predecessor was and more. It’s ambitious, more mechanically sound, technically proficient and, most of all, a joy to play. Nowhere is that ambition more apparent than in the narrative structure of Fates. The game’s story follows a young prince or princess created by the player. Corrin, as he or she is known by default, is the royal scion of the kingdom of Hoshido, a peace-loving realm inspired by a number of east Asian countries. At a young age, Corrin was kidnapped by King Garon, the Emperor Palpatine-esque ruler of Nohr, Hoshido’s more Western-inspired and belligerent neighbour. 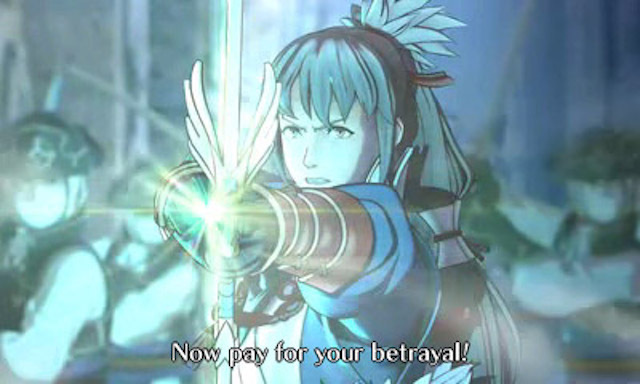 Through the course of the game’s prologue, Corrin learns the truth about her upbringing, and is then forced to decide between her biological or adopted family. Here Fire Emblem splits into two different parts. Birthright sees Corrin siding with Hoshido, whereas Conquest, which is the version of the game I played, follows Corrin as she attempts to reform her adopted home. The two routes come on separate game carts, though if you buy one, you can get a digital version of the other at a discount. There’s also a third and final route called Revelations, available only via download, that acts as a kind of epilogue. 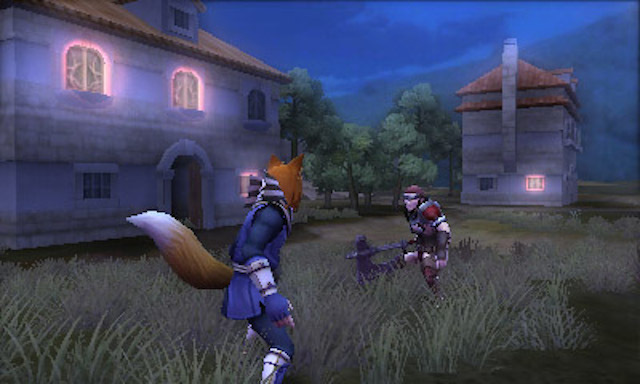 Between its three routes, Fates has hundreds of hours of contents to keep players busy for a number of weeks and months. Minus one maniacal patriarch and his scheming advisor, much of Conquest’s story is actually pretty compelling for a video game. A lot of it pulls from standard fantasy tropes. The player-created character is the descendent of a dragon, which results in some interesting gameplay mechanics coming into play throughout the game. More compelling are the game’s thoughts on family. As a result of Corrin’s unusual upbringing, Conquest spends a portion of its runtime meditating on what it actually means to be part of a family. In this, Fire Emblem is by no means a literary masterpiece, but having recently lost a close family member, this part of the game resonated with me in a way I wasn’t expecting it to do so. The unique structure of the entire package also means that Corrin is forced to fight against the family she rejected at the end of the prologue, which means the enemy in Fire Emblem Fates always has a face, and more often than not, you care for the characters on the other side of the conflict. That said, each entry in the Fire Emblem series is less about its overarching story, and more about the diverse cast of characters that populate it. With some 50 plus playable characters between the game’s two main routes, no one character in Fire Emblem Fates is developed to the point where they feel like a fleshed out human being. However, almost each and every individual that joins the player’s army is memorable. One of my favourites was Odin, a mage with a clear egomaniacal streak and a tendency to pull quotes from Starcraft’s archon. Like Odin, each character is an oddball in their own way, and everyone that plays this game will leave the game with their own personal favourite. Like in Awakening, as units fight together their relationship develops. Eventually they can marry and even have children together that later join the player’s army. The player sees these relationships develop in a series vignettes called support conversations. Without fail, these conversations are always a treat to witness because they feature Fire Emblem’s best writing. In this, much of the credit for Fate’s endearing cast of characters belongs not only to longtime series developer Intelligent Systems, but also Treehouse, the small internal localization team within Nintendo of America that has helped shepherd many of the company’s titles across the Pacific ocean. The localization team behind Fates did a tremendous job adapting the game’s original Japanese script for Western audiences. Of course, none of this would mean much if Fates was not a fun game to play. Thankfully, in this regard it is in almost every way an improvement over its predecessor. With Fates, Intelligent Systems hasn’t reinvented the fundamentals that have defined its franchise for than 25 years old; instead, the developer has made a series of subtle but meaningful changes that make the overall gameplay experience more interesting and compelling. For example, the pair up system, a mechanic introduced in Awakening wherein two separate units can work together as a single entity, has seen the biggest change. 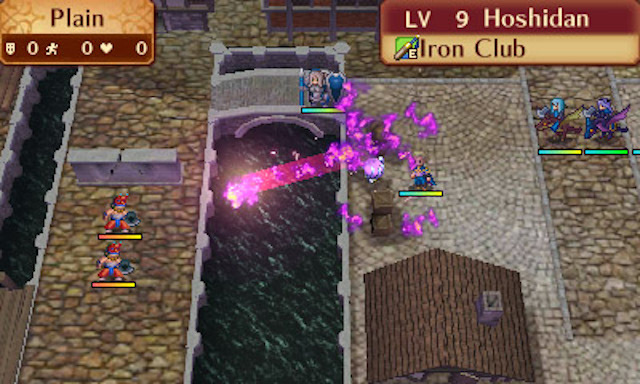 In Awakening, it was possible to exploit this system to trivialize later parts of the game. As units gained rapport with one another, they functioned more effectively in a pair up formation. The issue with the system was that it became incredibly difficult for computer controlled units to break a pair that had developed the highest possible relationship level. The most significant change in regard to the pair up mechanic is that computer controlled units can pair up. These type of subtle but significant mechanical changes typify Fire Emblem Fates. Another series mainstay, the weapon triangle, a rock, paper, scissors-like relationship between the game’s main weapon archetypes that effects how they perform against each another, has been reworked to include all of the weapons available to the player’s units. What’s interesting about this change is that it’s easier than ever to remember the relationship between all the weapons, despite the system being more inclusive than ever. In the new colour coded triangle, green colour coded weapons beat blue coded ones, blue colour coded weapons beat read ones and so on. New, more nuanced mechanics are accompanied by much stronger level design. An early mission in the Conquest route tasks the player with suppressing an uprising led by a group called the Ice Tribe. Ostensibly, achieving this objective is straightforward: the player’s army must eliminate the entirety of the force opposing them. However, the level’s bonus objective adds a fun twist to the proceedings. Spread across the map are five villages. Throughout the duration of the level, runners from the computer-controlled army will move toward these villages. If one of them reaches a village, that village will reinforce the opposing army with new units, making the rest of the mission more difficult. However, if one of the player’s units reaches a village first, then that unit will advise the inhabitants of the village to stay in their homes. Reaching three of the five villages before the opposing army leads to the best story outcome, and the player is granted additional resources to help make subsequent levels easier. It’s this type of smart mission design that typifies much of Fates. To be clear, in the example above the player doesn’t actually need to visit any of the five villages. In fact, not focusing on the bonus objective is the most prudent way to approach this particular mission, as it allows the player to move their units methodically, ensuring that each one is properly supported. Reaching the three villages is tough because it requires a more fast and aggressive play style. Some units, particularly the more mobile mounted ones the player has at their disposal, need to move ahead of the main force. Accomplishing the bonus objective, in other words, requires the player to make some tough decisions about what units they want to put at risk. The result is an exhilarating gameplay experience. In Fire Emblem’s Classic mode, once a unit dies, that’s it — they’re dead. The player can choose to live with the consequences or restart the mission from the start. It took me several retries to beat the mission in question while accomplishing its bonus objective, but once I did, I felt like a tactical genius for doing so. That said, perhaps the greatest strength of Fire Emblem Fates is that a person doesn’t need to play the game in this way. Bonus objectives are not required to complete a given mission, and between the three difficulty levels — normal, hard and lunatic — as well the option to turn off the game’s permanent death mechanic, there’s a combination of difficulty settings that’s perfect for series newcomers, strategic masterminds and everyone in between. In this, Intelligent Systems has accomplished the rare feat of making its latest Fire Emblem game more accessible without diluting of any of the mechanical sophistication that made the series compelling in the first place. 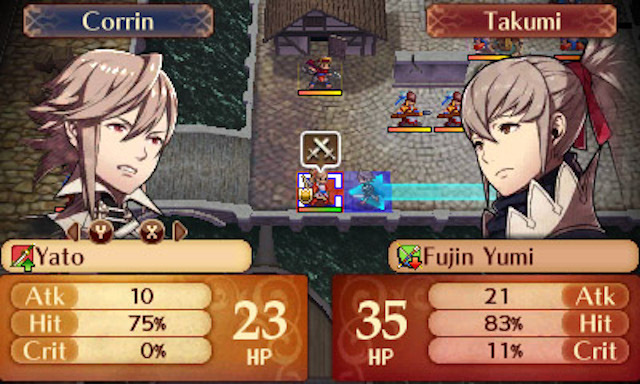 If you own a 3DS and have interest in the genre, you owe it to yourself to pick up Fire Emblem Fates.